Updated 2018 Sales List- click the links to the right! Also- don't forget to join StandoutintheHerd Club for your chance at a free Hooty breeding!!!! Eberth Family Residence For Sale. Click the link below for photos and details. We have all colors, age, show potential, breeding stock and sizes from under 30" up to 42". There are 3 pages of LKF sale horses- Colts/Stallions, Fillies/Mares, ASPR/Hackneys. 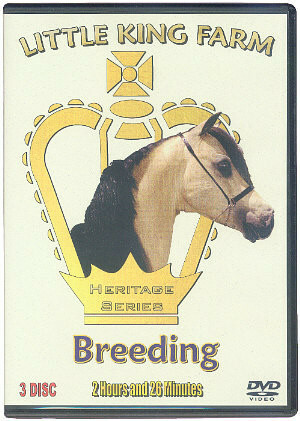 We also act as agent for many of our clients who breed Little King bloodlines all over the world. These horses will be listed under Client Horses. If you do not see what you are looking for, just ask! We are able to help you find just about anything. Just send us an e-mail with your perfect horse wish list and we will start searching for you! We accept all major credit cards, Paypal, checks or cash. Payment plans available on some horses and please feel free to make an offer! Package discounts always considered. E-mail for more information and additional pictures. LKF has teamed up with Ozark Mountain Tack and Smoke in Motion Productions to produce a series of educational DVDs and small equine equipment specifically designed for our needs here at LKF. You too can do what we have done for 35 years when it comes to breeding, foaling, managing and training these small equines! 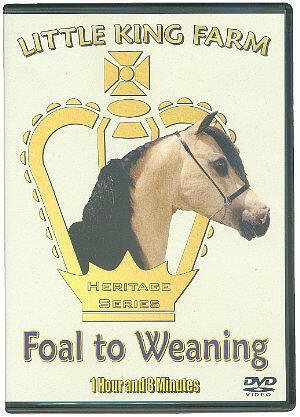 Visit Ozark Mountain Tack today to order your DVDs and Buckwear! We have professional haulers come through the farm multiple times each month. It is up to the buyers to contract and pay for the transportation of any horse purchased from LKF. Below is a list of haulers and transporters. We do not contract with any of them. We also have exported horses all over the World. We can help make quarantine and export arrangements. All costs are at the buyer's expense.